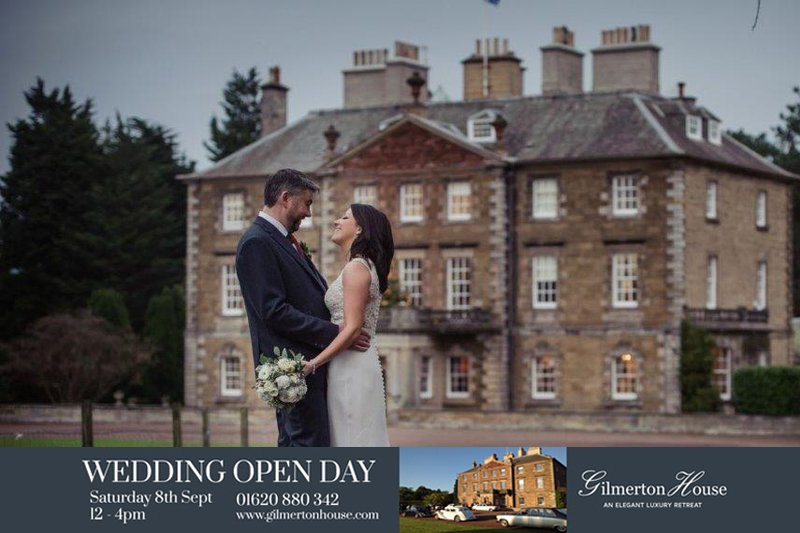 Situated in the heart of the picturesque countryside of East Lothian, Gilmerton House will host a Wedding Open Day on Saturday 8th September, 12pm – 4pm. Couples to be can take this opportunity to see the stunning and historical mansion house set for a wedding amongst the beautiful 1,000 acre estate and learn more about the exclusive use venue. A venue that offers everything, Gilmerton offers accommodation for guests, versatile indoor and outdoor spaces and beautiful garden settings. Exclusive use of Gilmerton House includes all the facilities of the mansion, making it an intimate wedding for you and your loved ones. To book your place or visit on the day, please contact the events team via email. Home to the Kinloch family for over twelve generations, this 5-star luxury private retreat offers a high level of accommodation and service. Gilmerton House offers 10 rooms, a choice of 4 luxuriously appointed reception rooms, marquee site within exquisite gardens, a selection of caterers – all within a short drive from the Edinburgh city centre. For more information, please visit the website.